I presume Richard Wezensky with BFR will do a much better post about this great event than me, but I thought I’d give the event a shout out, and a possible preview for Cyclesomatic 2012 in the Fall. The event was held at a great local bicycle shop in Garland, TX called Don Johle’s Bike World, Inc and sponsored by them and Rat Rod Bikes. I’d never heard of it but wished I had sooner. It’s one of those shops you’d kill to have in your neighborhood. They sell everything, and I mean every type of bicycle you can think of. They also have a particular preference for vintage, thus the swap meet they hosted. This was the first one, but I can tell you it won’t be the last. I hope to get them to attend our Bicycle Fair in this Fall’s Cyclesomatic, but seems that they want to take it to a local park first. Maybe I can convince them otherwise! Also, I ran into a local blogger, urban cyclist, and 70’s and 80’s bicycle restorer named Jonathan at the event. His blog is called Bicycle Point of View and it has a great recap of the event as well. 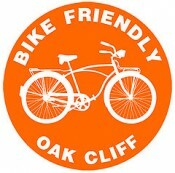 Who knows maybe Bike Friendly Garland is about to launch! He also had a Raleigh that fit my large frame, which I almost went home with. My rule is give myself 24 hours to decide on a bicycle. Well, I still want it and hope to make a deal for it soon. I was there and am sorry to somehow miss you and Richard Wezensky. It wasn’t what I thought, with the BMX bikes and so on, (and that’s okay). I was there hoping to sell an old (ahem, “vintage”) bike and mostly learned that it probably isn’t worth much. Hey c’est la vie. ← Mary Suhm: Why doesn’t the Continental pedestrian bridge have bicycle infrastructure?